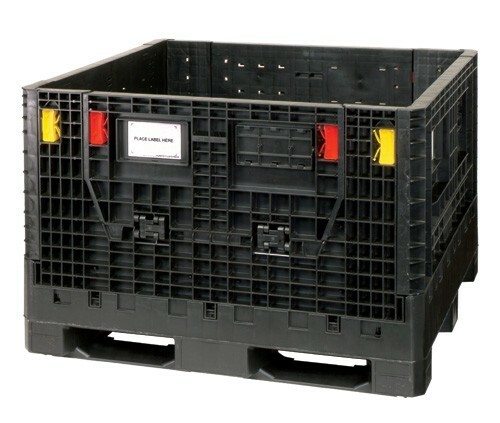 Collapsible bulk box provides a practical approach to large volume or large part material handling, storage and transport. 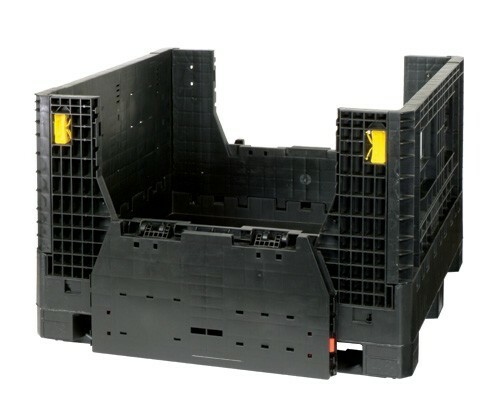 Used for heavy loads, components and even food products, these reusable and returnable collapsible containers allow you to ship, handle, pick, store and distribute your products while increasing productivity and profitability. 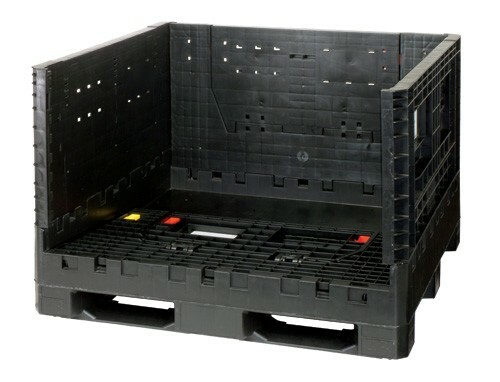 Collapsible bulk box comes in a standard pallet size footprint measuring 48"L x 45"W. It can be collapsed down to a fraction of its full height in seconds. 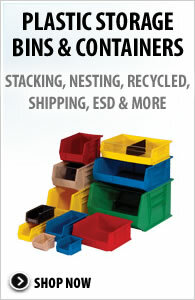 Bulk containers stack perfectly loaded or when folded down to minimize storage space. 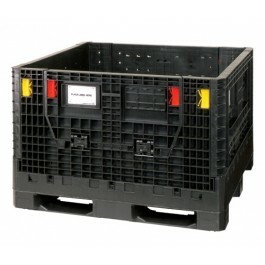 They are designed to make the shipping of your products faster, safer and less costly while providing greater protection. 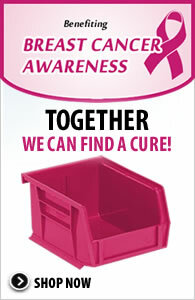 Two access drop doors are able to lie flush against the container allowing easy loading and unloading. 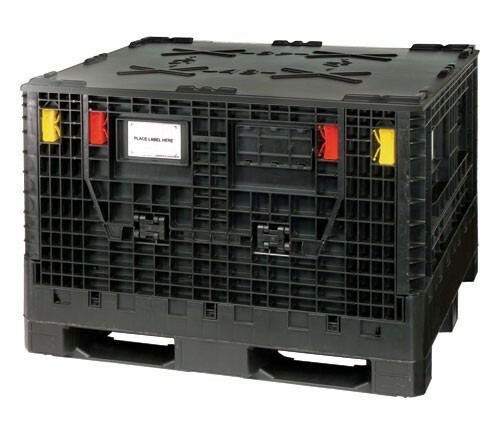 Manufactured from High Density Polyethylene, this tough container provides superior protection for products while being stored or in transit. 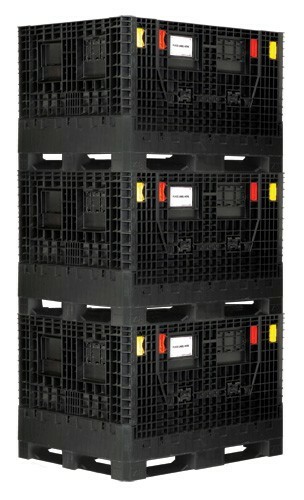 Welded base provides greater strength while the reinforced fork openings provide easy lifting. 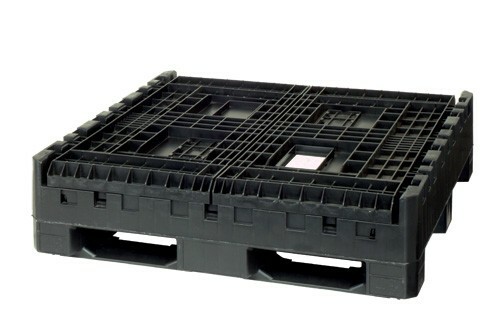 Can withstand temperatures between -20° and 120°F. Manufactured in the USA. Available in Black.